I have to say these are some really fun and fashionable sandals. 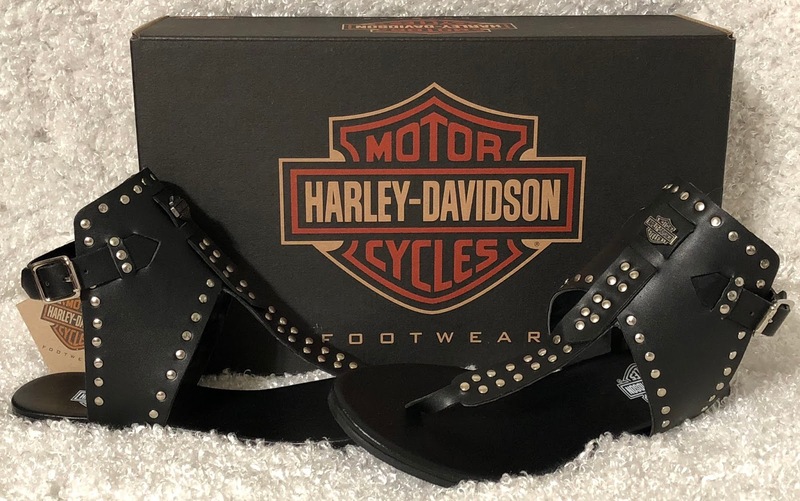 The Harley-Davidson Footwear website references them as being “a sandal made for a queen” and I would have to say they are right. They are called the Ames and they are currently part of the Harley-Davidson Footwear summer line. The look reminds me of the boots in their line but they are still very fashionable. They have a 1/4″ heel height and a rubber outsole. It’s almost like you’re not even wearing shoes when you have them on they are so lightweight. I was afraid I wouldn’t like the way they covered the front part of my foot, but they were actually quite comfortable on. I didn’t include a photo of me wearing them as I have wider width feet so mine actually hung over the sides of the foot-bed at the top and it didn’t look too pretty. If they came in a wide width option I definitely would be getting them because I like them a lot. My favorite thing about Harley-Davidson shoes is that they are all well made with quality materials. The pair of sneakers I got from them a few months ago has turned into pretty much the only pair I wear because they are so comfortable. And except for a few scratches from wear you can’t really even tell that they’ve been worn so many times. If you’re looking for sandals with style and quality made so that they will last these are definitely a great choice. About: Harley-Davidson Footwear® combines style and performance to bring you legendary footwear inspired by the iconic brand. Streetwear for kickin’ back after your ride or out and about; Enthusiast footwear for every pavement pounding adventure; and Performance Footwear – the premium riding boot; there is a boot, shoe or sandal for every adventure life takes you on. 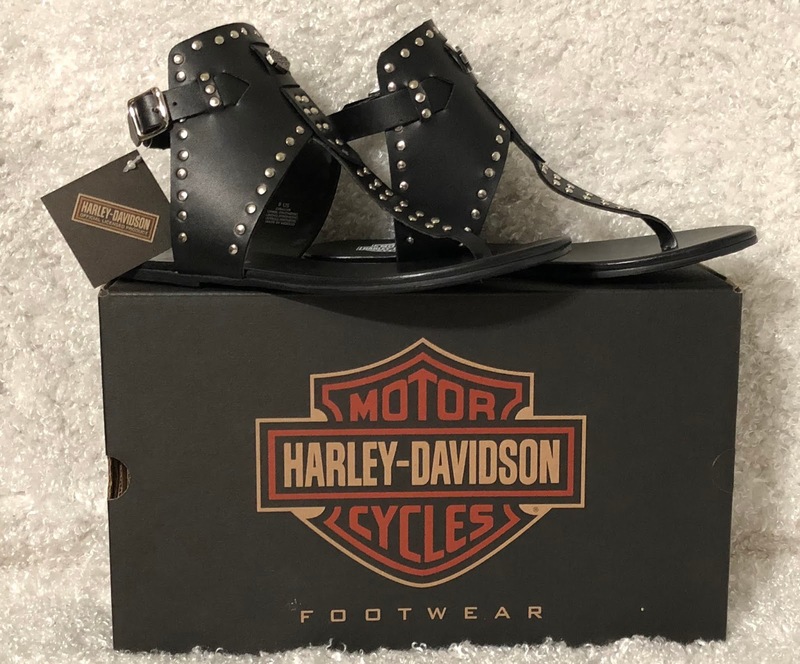 As a licensee of Harley-Davidson Motor Company, Harley-Davidson Footwear is one of the footwear brands that make up Wolverine World Wide. Visit Harley-DavidsonFootwear.com to view styles and find a dealership near you. I like those sandals! I could see myself wearing them quite a bit.